This two-disc set clocks in at 350 minutes, with not only all seven episodes of Season 2, but also four bonus performances from Elvis & The Imposters including "She's the One." 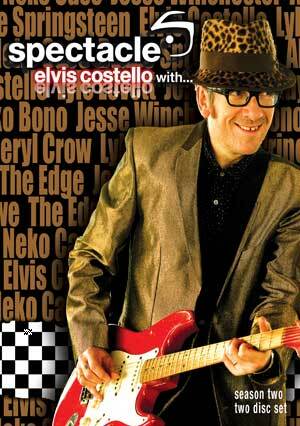 The set also adds a 50-minute behind-the-scenes documentary, "Elvis Costello With... Inside Notes."